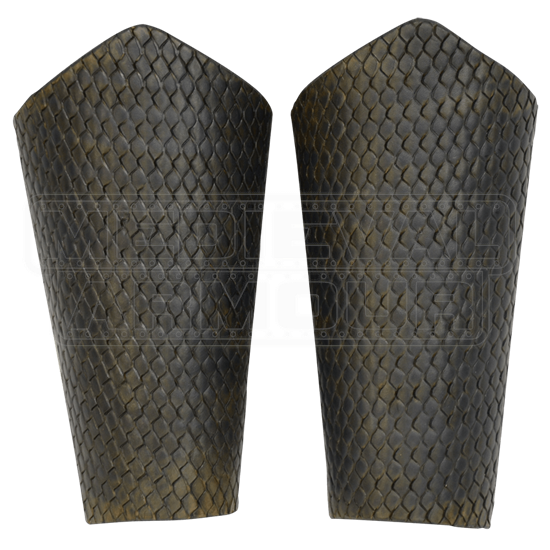 These bracers are a complement to the medieval or fantasy warriors outfit, the same as our Plain Medieval Bracers but with our dragon scale effect applied. They are available in medium or large. Medium fits up to an 11 inch length forearm. Large fits 12 inches and over. They are made of 13/15 oz. 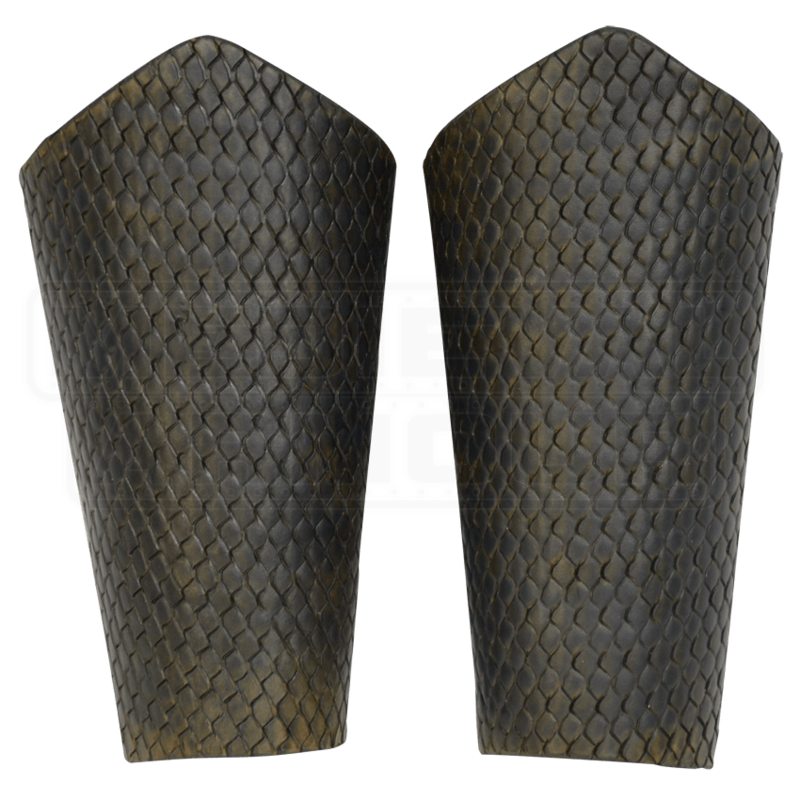 thick armor grade leather, and are available in black, brown, dragons blood red, forest green or midnight blue! They lace up in the back for an adjustable fit.